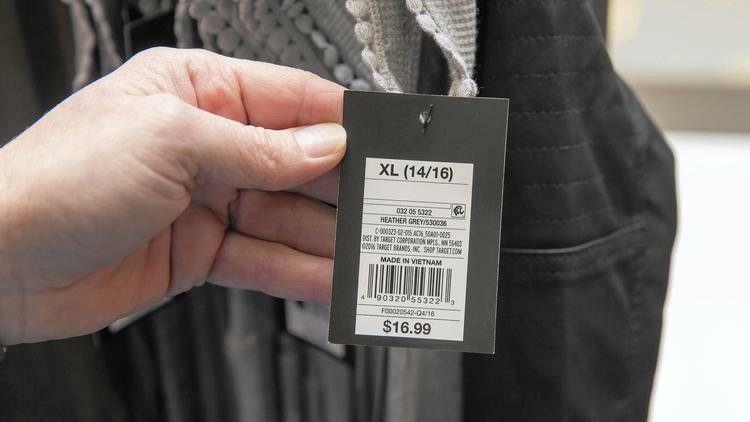 Hold the tags dangling from a T-shirt at a retailer like Target or Levi's up to the light, and odds are you'll see one with paper-thin electronics embedded inside. Most shoppers likely never notice them. But those tiny radio-frequency identification, or RFID, tags are what help some retailers accurately promise you that the sweater you're eyeing online is in stock at your local store and, when you fail to find it on the rack, track it down in an abandoned dressing room pile. You'll likely see more of them. In just the last two years, the share of apparel retailers using or piloting RFID technology has doubled, according to a 2016 survey by consulting firm Kurt Salmon. The technology isn't cheap. But retail industry experts say the potential to bring some perks of online shopping to brick-and-mortar stores while making it easier to keep up with impatient, time-pressed customers is convincing more companies the tiny tags are worth it. This is an excerpt from this full article posted on ChicagoTribune.com.